Personal Finances is a family budget planner and expenses and income manager for people on the go. Once installed on the USB flash drive, it enables family to plan budget and track expenses from any computer. Create budget that works well! 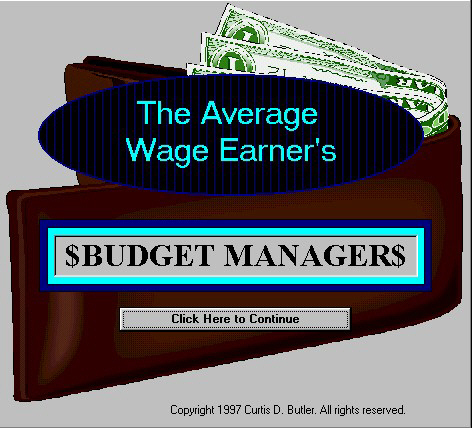 The Average Wage Earner's Budget Manager provides a powerful yet inexpensive way to tackle household money concerns such as saving on grocery bills, planning for a dream vacation, and managing finances. This software offers a solution to users who want to create a budget plan for a party. Suitable for larger parties accommodating many guests, this planner will take the guesswork out of staging a memorable occasion. Excel 2000 or higher.